If the fuel economy figures are tough to get past, you might consider the smaller Nissan Frontier, which does just fine with a V-6. The 2011 Nissan Titan performs well and has a comfortable interior, but its appeal is more limited than the full-line full-size trucks from the Big Three and Toyota. 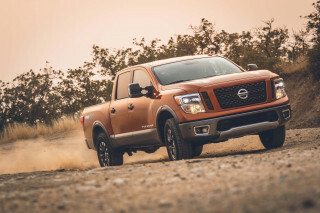 The Nissan Titan stands out from the crowd with styling that avoids the near-identical cues used by most other major truckmakers, paired with a strong V-8 engine. For 2011, that remains the same, with a few minor updates to trim lines and options packages. Aimed more at casual or recreational pickup users than the work-vehicle crowd, the Titan packs a handful of innovative features, and just a single engine choice. The bold exterior styling of the Titan has proved it has long legs, running forward largely unchanged from its debut in 2004. Not everyone will love Nissan's take on the full-size truck, however. 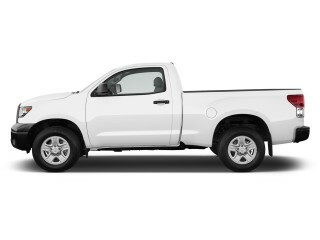 While it doesn't boast the wide range of engine options found in many competitive lines, the 5.6-liter V-8 engine in the Titan offers plenty of pulling and hauling power, and matches well with the five-speed automatic transmission. 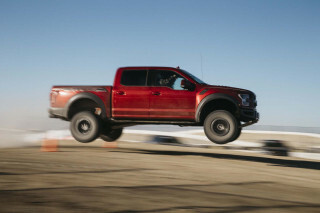 Handling is especially good for a truck this size, and the PRO-4X version makes more serious off-road action possible. The interior of the Titan hasn't aged as well as its exterior, with low-end materials and appearances dominating. Comfort and space are good, however, and overall build quality is generally solid. 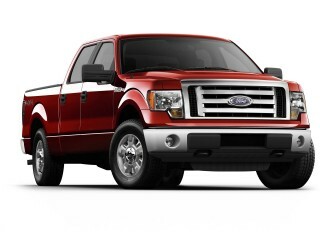 Most pickups fare better in frontal than side-impact protection, and the Titan is no different. A strong selection of standard and available safety equipment makes the Titan about as safe as any other truck in its class. Option packages and trim levels are the main point of differentiation for the single-powertrain Titan range, and the differences between the four models and several option packages are noticeable. Advanced technology isn't a forte, but Bluetooth phone connectivity, a DVD entertainment system, and XM Satellite Radio keep it in the 21st Century. Fuel efficiency has never been a strong suit of full-size trucks, and with no choice but the one V-8 engine, the Titan is a truck for those that need the capability to haul and tow, not for those that want an efficient but roomy city truck. Though it's now the oldest of the full-size pickups in design, the 2011 Nissan Titan still manages to look tough. From its introduction in 2004, the Titan took the brawny styling of the past decade to new heights: its aggressive, upright appearance and flared fenders paired with bright chrome accents and clean sides for a look that's as home in the city as it is in the dirt. 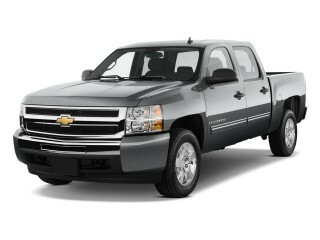 New for 2011 is a "4x4" tailgate badge on all but the PRO-4X models when equipped with four-wheel drive. Some may find the Titan's unique looks too flashy, though others will find it offers a more appealing alternative to the conservative styling of other trucks. The Titan hasn't changed much over the years. 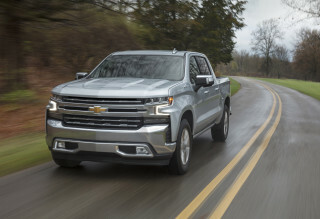 Despite its age, the exterior remains fresh, though the inside is showing its age, with both design and materials selection coming off dull and plasticky in comparison to more recently re-designed trucks. The big V-8 in the 2011 Nissan Titan is an asset—provided you have the budget to support its thirst. No matter which bed or cab style you choose, there's just one engine for all 2011 Nissan Titans: a 5.6-liter DOHC V-8, rated at 317 horsepower and 385 pound-feet of torque. Likewise, just one five-speed automatic transmission is available through the line. The combo works together for smooth shifts and strong acceleration, but falls short on fuel economy, scoring as low as 12 mpg in official ratings and even lower in some real-world use seen by TheCarConnection.com. 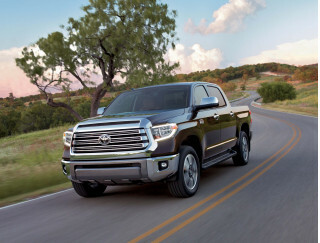 The poor fuel economy is offset by a towing capacity of up to 9,500 pounds with the King Cab and 9,400 pounds with the Crew Cab. For a big, heavy pickup, the Nissan Titan handles extremely well. On the road, the Titan feels smaller and nimbler than it is, maneuvering well at low speed. Of the many variants, all but the PRO-4X is offered with a choice of rear- or four-wheel drive; the PRO-4X offroad variants are four-wheel-drive only. The PRO-4X is also more prone to being over-firm on and off-road, with skittish behavior under some circumstances. Solid 10-inch ground clearance puts it at the front of its class, however, and may win converts more concerned with capability than comfort. The materials and interior details inside the 2011 Nissan Titan aren't likely to win you over, but its otherwise spacious and comfortable cabin might. 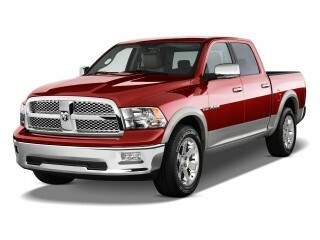 Inside the 2011 Titan, you'll find plenty of room and comfortable seating for four adults in Crew Cab versions. Power-adjustable pedals accommodate shorter drivers, and ride quality is good for a truck, with wind and road noise both at acceptable levels, though the engine can be a bit loud for some. As it turns out, the interior of the Titan varies significantly depending on which model you choose. Base models use a split bench seat, for example, while mid-range and top-end trims get captain's chairs and a center console. High step-in on all models may be a concern for shorter or less mobile drivers. Interior materials generally fall well short of the mark. Drab colors and plasticky textures are particularly hard to get over if you've cross-shopped similar trucks in the class. Storage space is abundant, however, with plenty of spaces for smaller items. Overall build quality is also good, if not great. The 2011 Nissan Titan has good occupant protection, but side airbags and stability control are still optional, whereas they're standard on other trucks. Safety ratings for the 2011 Titan haven't yet been issued by the NHTSA, but the 2010 model scored four- and five-star frontal impact ratings. The IIHS rates the 2011 Titan "good" in front offset crashes, but only "marginal" in side impacts despite standard side airbags. A full range of airbags is available in the Titan, plus anti-lock brakes and electronic stability control. 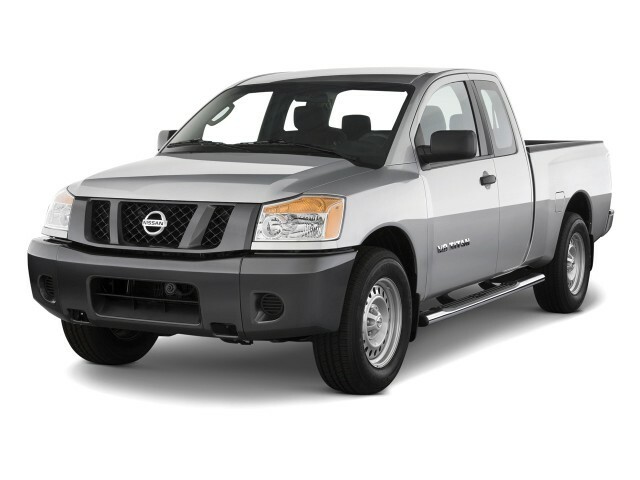 The 2011 Nissan Titan offers utility options, along with a tough off-road model, that should please most personal pickup needs. Four models are available for the 2011 Titan, though two get re-named for the new year, with the previous SE becoming the SV, and the previous LE becoming the SL. The four models for 2011 are the S, SV, PRO-4X, and SL. Two cab types (King Cab, Crew Cab) complement four bed sizes (5'5", 6'5", 7', and 8') and two wheelbases. 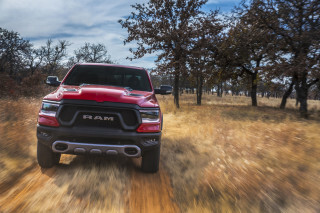 Competing trucks from Ram, Ford, and Chevy, offer a much wider array of choices, including heavy-duty models and smaller engines for better fuel efficiency. The feature set of the Titan is what you'd expect of a truck: basic until you add options. The PRO-4X will hold special interest for off-road enthusiasts, as it adds a number of heavy-duty components, Rancho shocks, off-road wheels and tires, tow hooks, a full-size spare, plus a lockable storage box and locking tailgate. Option package updates for 2011 shuffle some of the equipment around, but Bluetooth hands-free phone capability, XM Satellite Radio, heated/leather seats, and a DVD entertainment center are all available. The Max Utility package adds a rane of towing and load-centric features, and King Cab models boast "Wide Open" doors that swing 168 degrees for very easy interior access. Key features of the top-of-the-line SL model include a cargo light, sonar backup assist, Bluetooth, dual-zone climate control, cabin air filter, a rear 23-volt outlet, HomeLink, power-adjustable pedals and leather captain's chairs, heated front seats, and a rockin' Rockford Fosgate stereo. It's no green machine, and there's no option for something smaller than the standard 5.6-liter V-8 engine. As a large pickup the Nissan Titan is anything but green. EPA ratings of 12-13 mpg city and 17-18 mpg highway are bad enough, but real-world use will often see these numbers fall lower, even without towing or hauling. With no option for anything smaller than the standard 5.6-liter V-8 engine, the Titan's only provision for those that want to minimize environmental impact is a flex-fuel (E85) capable vehicle--an option that's only realistic in the ethanol-rich Midwest. On the whole, however, the Titan runs about average for V-8 full-size pickups, so if you need the capability offered, the fuel economy penalty may be something you can live with. Looking for a different year of the Nissan Titan?